This experiment isn't looking so great, right now. I'm gaining weight. The final day's meal did have a lot of fat in it, but honestly it's probably not more than I was eating in an entire day prior to cutting back the fat to only evenings. I don't think my calories have increased, but I can't be sure since I never counted calories. I'm up about seven pounds(!) and not liking that very much. It's not just from the past three days, however. I think it's been creeping on since I've been eating more fruit (pineapple, in particular). Is it because I'm still eating fat, which is may be what Doug Graham (80/10/10) might say? Or, is it because of my insulin resistance? I guess there's a chance that including more fruit has upped my calories, but wouldn't that make me feel fuller than normal? I don't feel any different as far as fullness goes with eating more fruit. I'm not sure what's causing it, but I'll keep an eye on how it's going. I can't claim that 80/10/10 is causing the weight gain, since I haven't fully transitioned to 80/10/10, yet. I'm still consuming more fat than is recommended with that diet. I don't want to bring a bad reputation to the diet, when I'm not even following it the right way, yet. So, it's best to not assume it's completely from the increase in fruit. I can't decide if I'm going to cut back the fat to half the amount at dinner for the second ten days, or if I'm just going to go without it to see what it does (maybe having a small amount only every few days, or so). I'll finish out this first ten days with only fat at dinner, first, and then decide. It's all so fascinating to me, how the body responds to what we are eating. Even though we are all made the same, isn't it remarkable that our diets affect us differently? My husband, Jim, can eat just about anything and never have an upset stomach. That's not the case for me. He can eat endless amounts of fruit, mixed with fats and veggies and spices and never have a digestive upset. For me, fruits like melon can only be eaten on an empty stomach with nothing else added for at least an hour. What would you do if you found yourself all of a sudden putting on weight after you were stable for so long? I feel a bit disconnected from it, as far as feelings go--I'm just observing and continuing with the experiment. Would it freak you out? Would you immediately revert back to the way you were eating ?? Wendi, something that makes a lot of sense to me about the 80-10-10 is that it is a diet created by and for athletes. Unlike Rainbow Green (Tree of Life Diet) or Hippocrates Health Inst diets which are for healing illness, this diet (as I understand it) is designed for optimal performance for a body that is already active and healthy. As I gather to effectively follow the 80-10-10 you need to be living a physically active life. Having all that fruit sugar without vigorous activity to burn it off can cause "berry belly". There really are two schools of thought on this, Cousens & Clement who both suggest low sugar with less emphasis on eliminating the fats, and Graham who promotes high sugar, low fat. As I mentioned in a previous comment, I am opting for the low sugar approach. I simply do not have an active enough lifestyle to get away with eating all kinds of fruit safely, and personally I notice when I am too sugary, even on days when I am consuming little to no fat at all. Only you can truly know whether either of these approaches are best for your body. I can only say that for me sugar is far more difficult for my body to process than vegetable fats. I think Jen's comment is good wisdom. If you are really active, however, then it is still really baffling. I am very fascinated by your research with this. I certainly battle insulin resistance and have all of the effect that go along with that scenario. I am pretty sure the high fruit intake during my last 40 days of juice feasting was the reason I didn't lose any additional weight. Will be eager to hear more as this unfolds. are you feeling tied to that certain number, or can you judge the latest progress just by how your clothing fits? that's always been the surest bet for watching how my body changes and adjusts. another thing to take into consideration if you have not already- i personally notice a HUGE difference as my menstrual cycle cycles. up and down. up and down. chart that in conjunction with the number, and you may notice a distinct pattern. and i am not a long-time raw foodie, but how long have you been applying these 80/10/10 guidelines? when you made other grand changes in diet [good ones,] did you also gain before loosing? either way, you look great, seem to be feeling great, and have been so kind to share with us and support this raw community. i think you are fantastic just as you are! I just finished writing a blog entry that explains why I'm trying the 80/10/10 over Cousens' theory. If 80/10/10 doesn't produce the ideal health, I'll most likely try Cousens' theory, next. The part about 80/10/10 being for those who are athletes, the important thing that Graham is saying is that you need to be active so that you require enough calories to obtain all of your vitamin and mineral needs. I'm quite healthy, especially if you compare my body (not just weight, but also blood test results) to before raw, so I'm not concerned about experimenting and putting on some weight right now. I know I'll be able to get back to a healthier weight, either if the 80/10/10 theory is correct after I follow it for some time, or by reverting back to the way I was eating. I've read the different schools of thought and I really felt drawn to what Cousens is saying. However, I tend to rely more on my instincts than what my mind is saying. That's why I'm trying 80/10/10 in stead of what mentally seems like a better choice. I hope you'll continue to keep good notes on how things are going for you, Jen! I look forward to following your path, as well, for the 100 day challenge! Thanks for your thoughtful comment. It really means a lot to me!! Thanks for your comment. I love that you take the time out to drop by my blog and not only read it, but also comment. You are so sweet to be concerned about me and a possible unrealistic body image. For me, a scale is just one of the many ways to monitor my health. I mostly rely on how I feel, followed by blood test results, how my clothes fit, and then on the weight the scale shows. I don't have a set number in mind as my ideal weight. I do like to keep an eye on the changes in my weight, however, because they reflect changes that I'm making in my diet. In this recent instance, the weight gain shows me that my diet is either higher in calories or something is happening within my body to cause me to gain weight based on the way I'm eating (it's most likely linked to the insulin resistance). You are very smart to point out the issue of weight and menstrual cycles. That is definitely one of the causes for the weight gain! However, it certainly can't account for the full seven pounds. I'll know more about the weight gain after another week, when my period has ended and my body is back to not retaining period/water weight. I am definitely overjoyed with the changes that have happened within me since I've adopted the raw food diet. I am not devastated or even frustrated about the recent weight gain--just mostly observing it with curiousity. I've only been transitioning to 80/10/10 with a more serious mindset for about two weeks, or so. Since I'm not completely following it, yet, I can't say whether it's working or not. When I switched to an all raw diet, I didn't go up in weight ever...I gradually continued to decrease in weight. I have been pretty steady at 90 pounds less for a long time. Comments on my blog mean so very much to me. I appreciate you taking time to stop by! Hi Wendi, I have no idea! I can understand that it would not make you very happy though. From glancing at your meals, it actually did not seem like you are eating that many calories. The only thing I did notice is that you are including nama shoyu and salt with your food, and from personal experience I know that salt and spices tend to make me gain water weight, very fast. 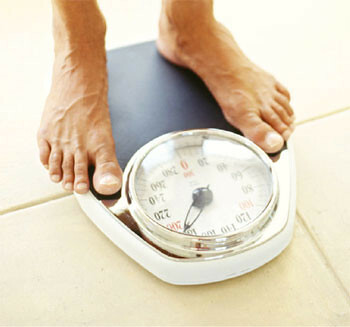 For what it's worth, Dr. D says - any rapid weight gain or weight loss is water weight. Because - with fat, you can only gain or lose about 1 lb a week no matter what diet you're on, and muscle gain or loss is usually a non issue with most people unless say you're on bedrest for months or something. So anytime my weight goes up or down quickly, it's water weight. Usually water retention is caused by the body trying to dilute toxins so it can process them more easily. I'm wondering if what Dr. D says about it being impossible to gain more than one pound a week from fat being impossible is accurate. I question it because of all that I've learned about insulin resistance. A body that isn't functioning properly, as far as insulin goes, will convert sugars into fat (not water). It's all a form of protecting the body, since it's not able to deal with the sugar correctly. If what I've learned about insulin resistance is true, then it is possible to gain more than a pound of weight a week from fat. I'm not saying my weight gain was definitely from fat, because it very well could have been from water. I guess this is yet another one of those ever contrradicting health pieces of information out there. That's why it's so important to experiment and see what works for each person, individually. Yes, nama shoyu and salt aren't great for my body. I've been decreasing the amount quite a bit and hope to be free of the nama shoyu within a week, or so. The salt will take a bit longer, but I'll definitely be off salt by the end of the 100 days, I thinking. I've been experimenting with it and I feel so much better when I'm not consuming salt. Thanks so much for your comments, Sarah!! You got some great feedback from everyone. I hope you'll be able to figure what works best for you. You mentioned this thought in your post about how we're made the same but our bodies respond so differently to different foods and I was talking to someone else about this - it has to be frustrating to see and hear the positive responses of other people doing the same thing but you (you is generalized) are not getting the same results so then it's back to the drawing board to figure out what works best. I'll be interested in your discoveries. I'm not frustrated with my weight gain--just curious about it. It's all fascinating to me. I love that I'm not emotionally connected with my weight anymore--I'm healthier on so many levels these days. In the past, however, I *was* frustrated that others around me were healthy weights and they weren't even eating half as well as I was. It used to depress me that I was doing everything "right" and yet I was so obese and ill compared to others who didn't even care what they put into or on their bodies. It feels so good to be in a better place, emotionally, right now. I'm very interested in my discoveries, as well! :-D I'll be sure to share what I find.